Easy-to-use. Counts up to 99 minutes and 99 seconds. Magnetic back. Hanging clip. 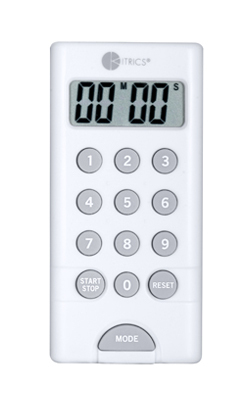 10-digit keypad. Counts up or down.